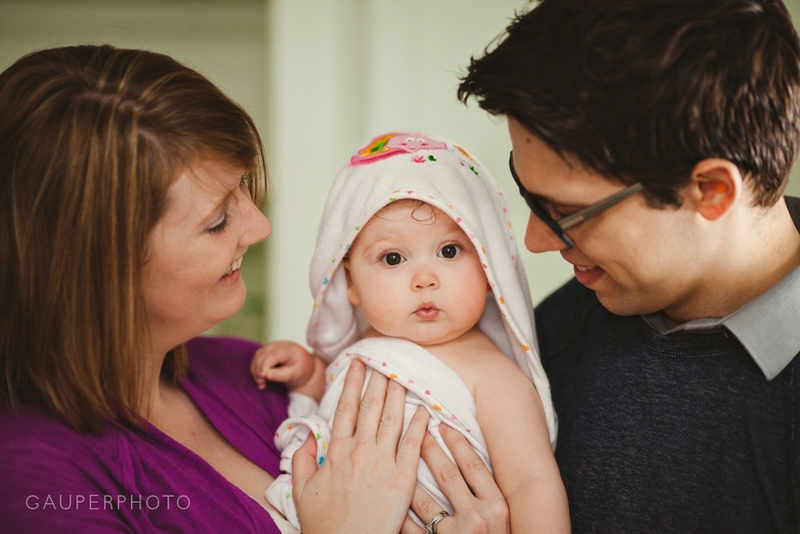 Shooting young families has become one of my favorite things to photograph lately. Weddings will always be a big part of my life, but as a secondary area of photography to get into, this just fits perfectly for me. Shockingly, I'm turning 30 this year. I spent my 20's shooting weddings and moving all over the country which sorta made time fly. Now, as we have settled down and are older, I've just got babies on my mind constantly and hopefully that will be part of our future. 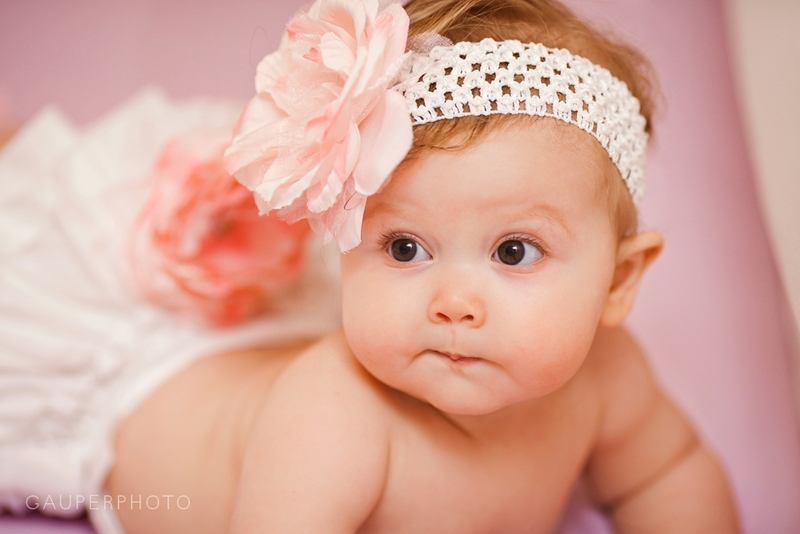 Until then, I'm vicariously living through my clients and I love watching their babies grow. Being a baby is sorta crazy. It is the most pampered you'll ever be in your life and you don't even realize how awesome that is because you don't know any better. Someone devoting their life to your well being and happiness is an incredible thing. 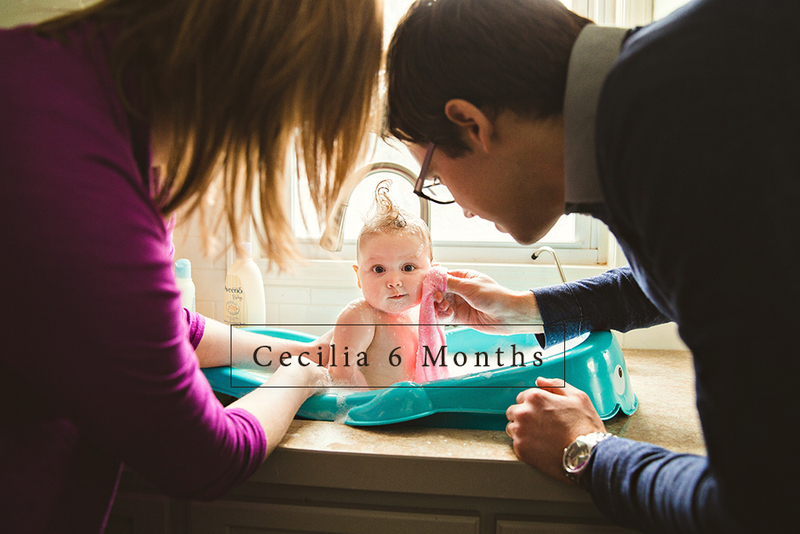 I first photographed the bell family 3 months ago, you can check out our fall session here http://gauperphoto.com/the-bell-family and it was great to come back for her 6 month session and just photograph little parts of her life in their home. It's the normal every day stuff that I love the most because I think those are the best memories and you get older. Posed, super perfect and adorable pictures are amazing and I will for sure want those of my kids someday but I don't think those bring back the same type of memories that the every day stuff does and that's why I love this type of work so much. This time around, she was much happier and giggly so we got lots of good smiles out of her. She was just a much more serious baby at 3 months old haha and bath time is apparently super fun! 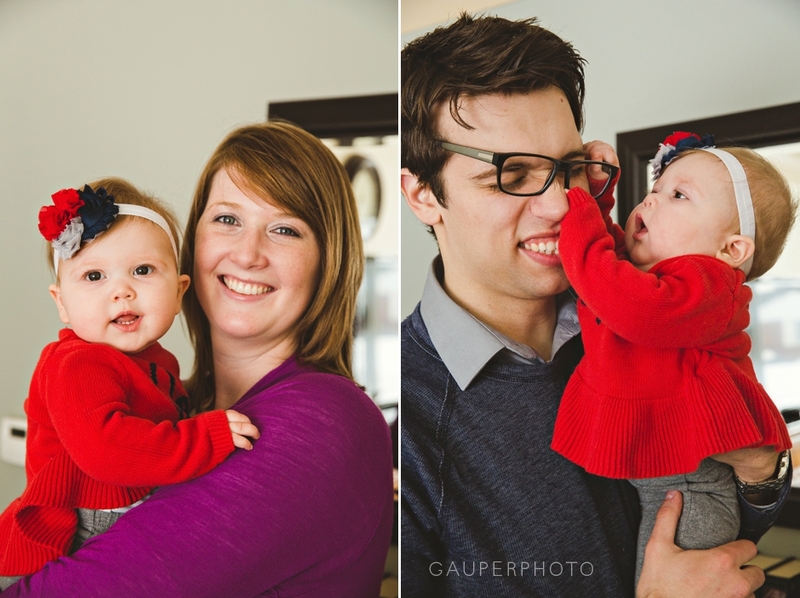 It is actually quite common that babies find dad to be the funniest so mom always get's the nice individual portrait since dad is making her laugh...and he gets this. haha, typical!